Annie Oakley is the best shot around, and she manages to support her little brother and sisters by selling the game she hunts. When she’s discovered by Col. Buffalo Bill, he persuades this novel sharpshooter to join his Wild West Show. 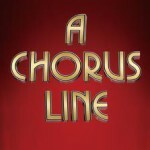 A Chorus Line is a stunning musical-verite about a chorus audition for a Broadway musical. 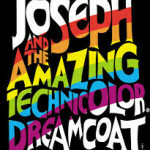 It tells of the achingly poignant ambitions of professional Broadway gypsies to land a job in the show, and is a powerful metaphor for all human aspiration.